Take me to the fish! Our Barra Blog has the latest from Dhipirri Lodge but we also send out regular newsletters with great offers and even more photos of big fish! Dhipirri Barra & Sportfishing Lodge offers a high quality fishing experience in a remote location in Arnhem Land, Northern Territory. Owned and operated by Darren & Sharon Nickolls, Dhipirri provides anglers a wonderful opportunity to catch the mighty Barramundi and a wide range of Pelagics, all within close proximity to the Lodge. 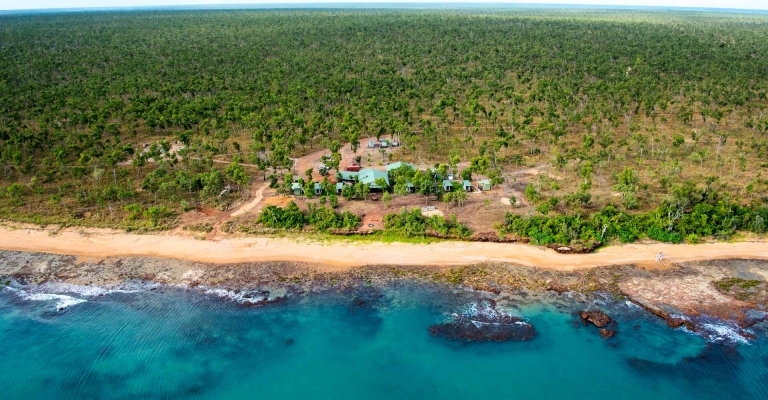 Both the accommodation and dining are first class with all rooms being air conditioned and the private airstrip allows clients to fly directly to the Lodge from Darwin. All the info you need to get ready for a trip is here on our website – however if you’re keen to book now please hit the Contact Us button below and we’ll get you here asap! Dhipirri Barra & Sportfishing Lodge is located in Arnhem Land, Northern Territory, Australia. © 2019 Dhipirri Barra & Sportfishing Lodge. All rights reserved. Powered by Caffeine.